Quick and easy test indicates ignition or fuel delivery problem. 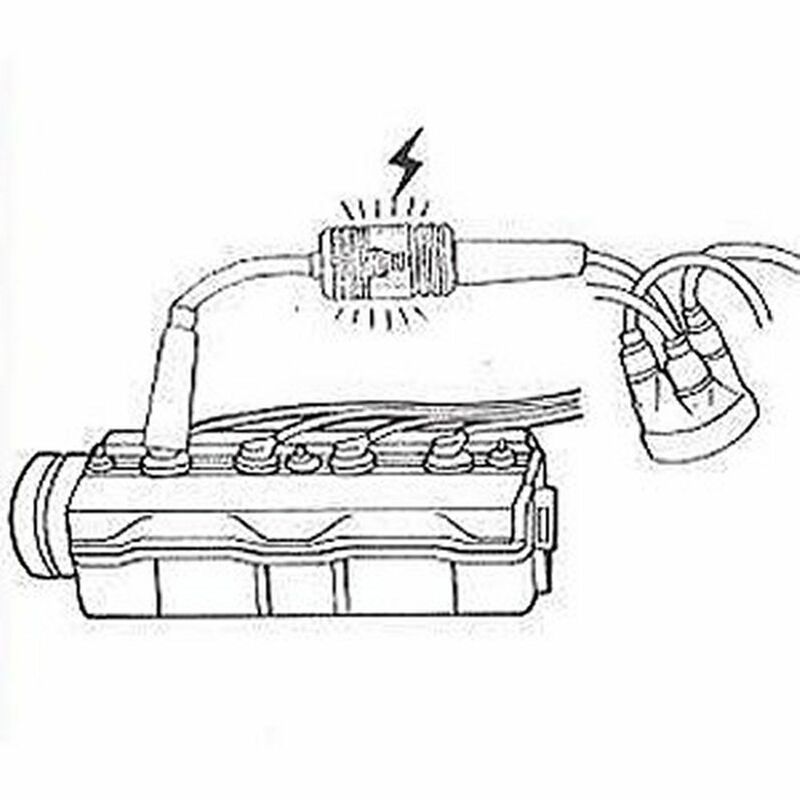 Simply connect between spark plug and spark plug wire--only takes a few seconds. 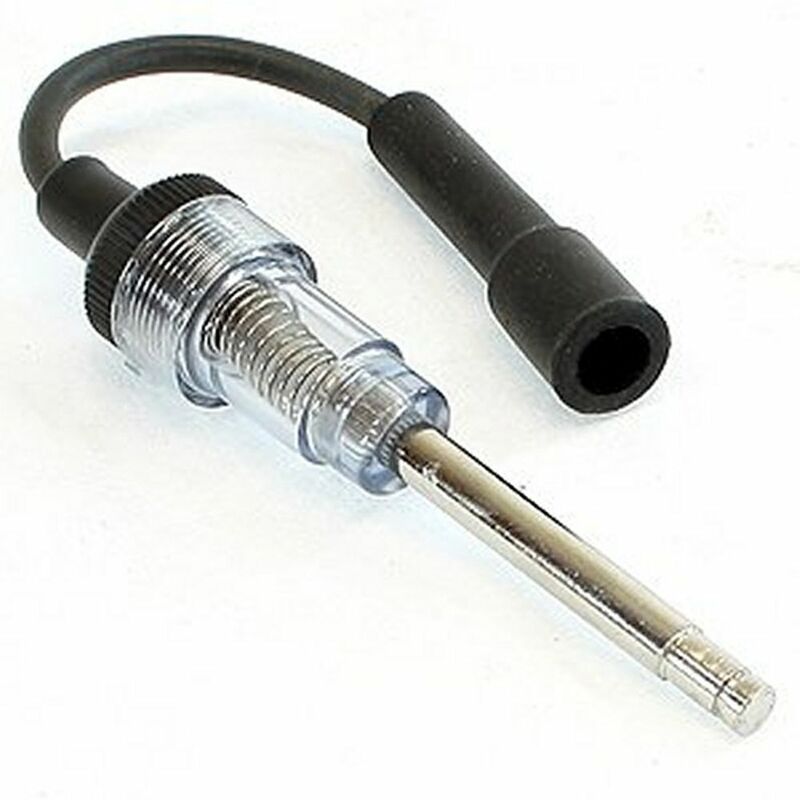 Also finds dirty spark plug connections, defective points, bad cables or connections, and more.